JavaBB is a software based on Java, developed specifically with intention to join communities. It is currently a well finished software: it provides the most important and classic services expected from a forum software, this time brought by the Java world. JavaBB is really simple, it works well and is really sufficient for webmasters who need a classic forum software. Let’s deploy it to Jelastic Cloud and you’ll see how easy it is! 3. In the Environment topology dialog which opens, specify the resource limits (e.g. 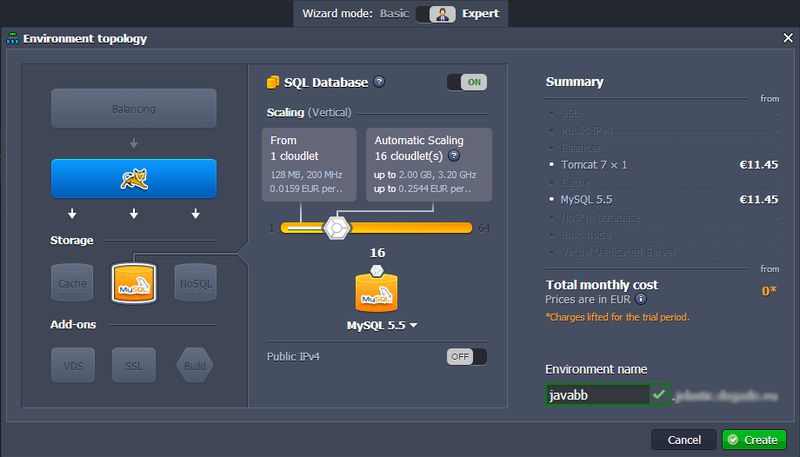 16 cloudlets), pick Tomcat 7 as your application server and MySQL as the database you want to use, type your environment name, for example, javabb and click Create. In a minute the environment with both Tomcat 7 and MySQL will be created. 1. Navigate to JavaBB web site and download the latest version of JavaBB as a zip package. 3. 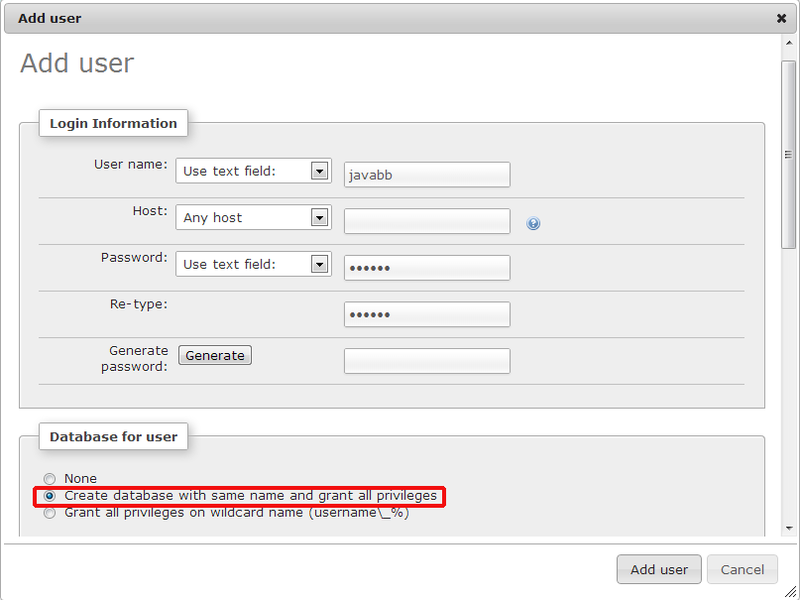 Upload your Java package (javabb.war) to the Deployment manager. 2. When you created the environment, Jelastic sent you an email with credentials to the database. Use these credentials to create a new user with all privileges. 2. Navigate to webapps/ROOT/WEB-INF/jdbc.properties file and change it according to your database configuration. 3. Navigate to the home folder of Tomcat and create a new directory, let’s name it javabb. 3. Open the webapps/ROOT/WEB-INF/classes/webwork.properties file and change the property webwork.multipart.saveDir using the path to the folder which you have just created. Note: If you do not do this change, you can not post new topics at the forum. Now you can open your application in a web browser and start using it. That’s all you have to do! Now your forum is up and running. Enjoy! If you prefer to use any other software based on Java for forums and communities, just let me know and I’ll create the instruction on how to deploy it into Jelastic cloud for you.